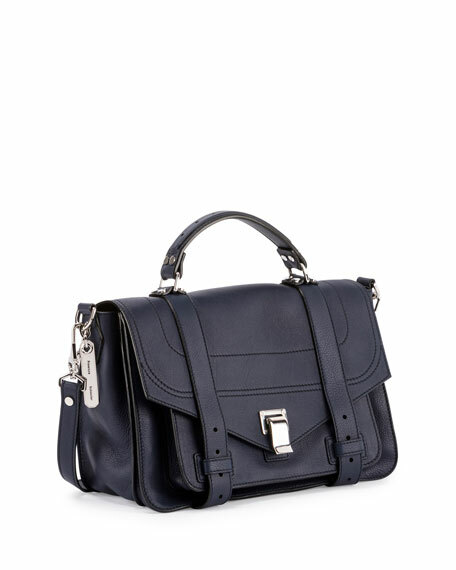 Proenza Schouler grained leather satchel with silvertone hardware. Top handle with rings, 3" drop. 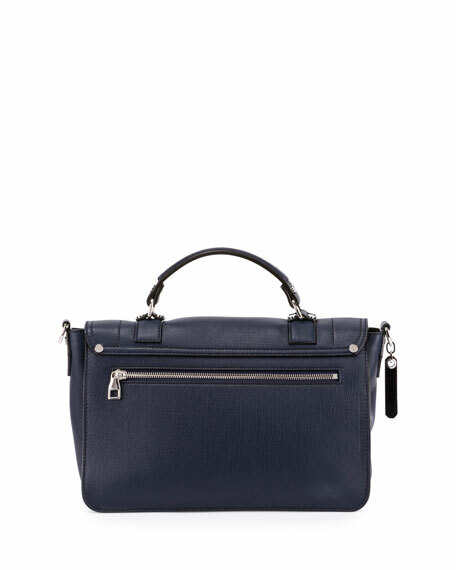 Removable, adjustable shoulder strap, 22" drop. 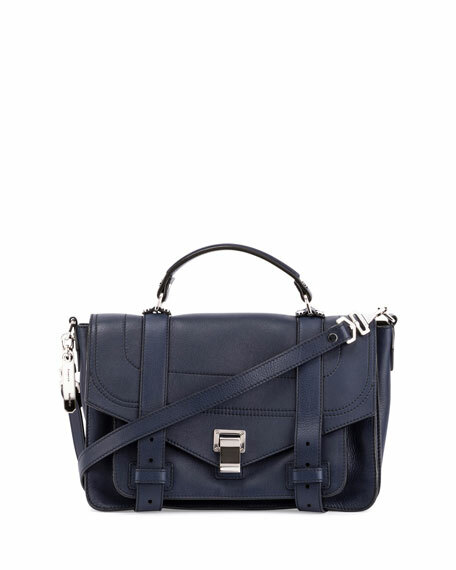 Layered flap top with metal tab closure and belted detail. Zip and slip pockets under flap. Interior, logo-jacquard lining; zip pocket. 8.5"H x 12.5"W x 4"D.